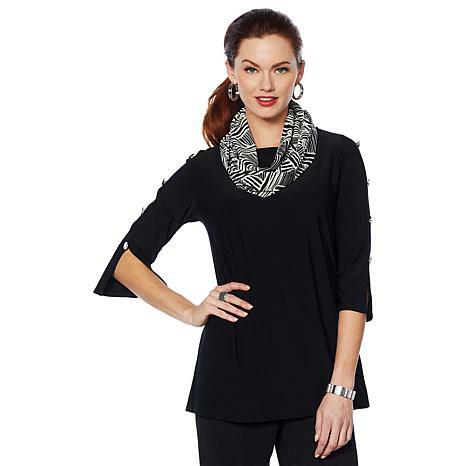 Turn any tired look into a style statement with this button-detail top and printed scarf set. Ordered in the color of black, which is beautiful. The buttons on the sleeves are gorgeous and I love the neck line. 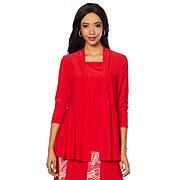 The material is soft to the touch and the length is perfect, I am 57 and wear a 2x, the blouse length is at my hip. The scarf is beautiful, soft, and an added bonus for accessorizing. Thank you Antthony and thank you HSN for giving us a joy!! !